Batman is lost. Superman is trapped in another universe. And now The Dark Knights have used Cyborg to trap what remains of The Justice League in "Bat Caves" designed to drag them down before their inevitable deaths! Justice League #32 is a thrilling piece of filler. There's not much to be found here beyond non-stop action but Robert Venditti's script presents that action well enough as The Justice League faces down their counterparts in The Dark Knights. Liam Sharp's artwork is as finely detailed and well-presented as one would expect based on his recent work on Wonder Woman. Adam Brown does an equally impressive job on the color art. 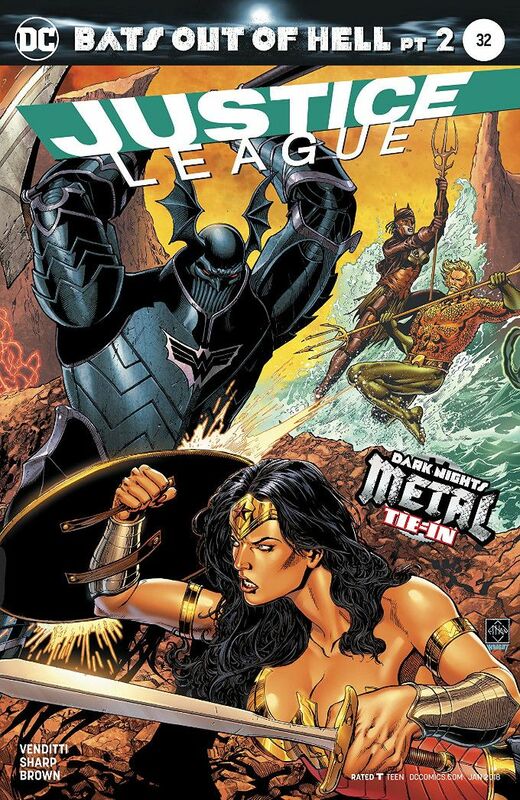 In terms of plotting relative to the rest of Dark Nights Metal, this issue may not be essential, but it is enjoyable for what it is. The Final Analysis: 6 out 10.